A long, vigorous walk in the countryside is known as hiking. 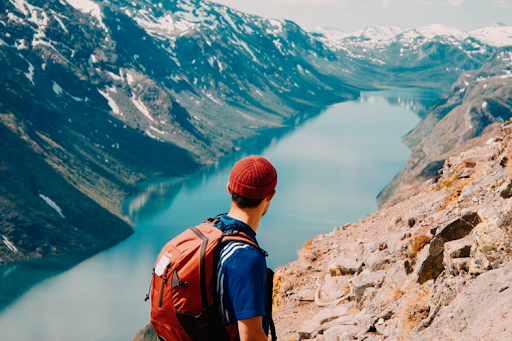 It may not seem like an adventure activity; however, the popularity of hiking has changed the conventional idea by changing the walk in the plain countryside to walk up the rugged paths to mountains and canyons. Adrenaline junkies prefer taking up extreme paths to make it more fun and adventurous. If you haven’t been to them, then the weekend is not very far! Plan a getaway right away! How to plan your wardrobe strategically? Your apparel and footwear should keep you warm in the chilly climate. If it is efficiently insulating, then it will hold the body heat as well. It is better to have clothes that support insulation than to pack jackets and increase the weight of your backpack. The worst situation that can happen is getting drenched due to heavy rainfall. Your backpack, clothes, and footwear need to be waterproof to not only protect you from the harsh climate but also protect your valuables from getting damaged. You may experience extreme wind conditions at your hiking destinations, which is why hikers prefer their clothes to be not just waterproof, but windproof as well. Not all jackets and ponchos are windproof, so make sure that you purchase the ones that are. It is essential to protect your valuables from water or wind damage. Sunlight can be pretty damaging, right? The UV rays can cause severe skin conditions like skin burns and skin cancer. Your clothes should have a UPF (ultraviolet protection factor) to ensure utmost skin protection against sun’s UV rays. Your clothes can get sticky with sweat if the layers of your clothes are not breathable. It needs to pass air efficiently to support wicking and help your skin breathe. A fabric’s ability to pull moisture from your body surface and move it to the outer surface of the fabric is known as wicking. The sweat can dry much quicker on the outer surface as compared to the inner one. This lets you sweat without getting chilled or sticky. Expert Tip: Just like you keep a camping knife by your side on a camping trip, there is no harm in keeping one on your hiking expeditions as well because you never know when you may need to use it to hunt, to cut off the branches in your path or to dice vegetables before cooking. It is never too late to plan a hiking getaway. So, call up your best buds, and get going! You Need Mountains; Long Staircases Don’t Make Good Hikers. Jennie Trotter has been sharing her hiking experiences for many years. After she observed many people wearing the wrong attire and facing problems on their hiking trips, she planned to help her readers and fellow hikers by informing them about the right wardrobe choices.